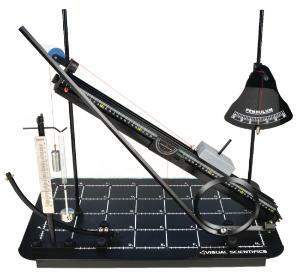 This Starter Set is a effective and economical addition to any physics or physical science classroom. This innovative collection of small-scale physics experiments help students investigate science through video analysis. 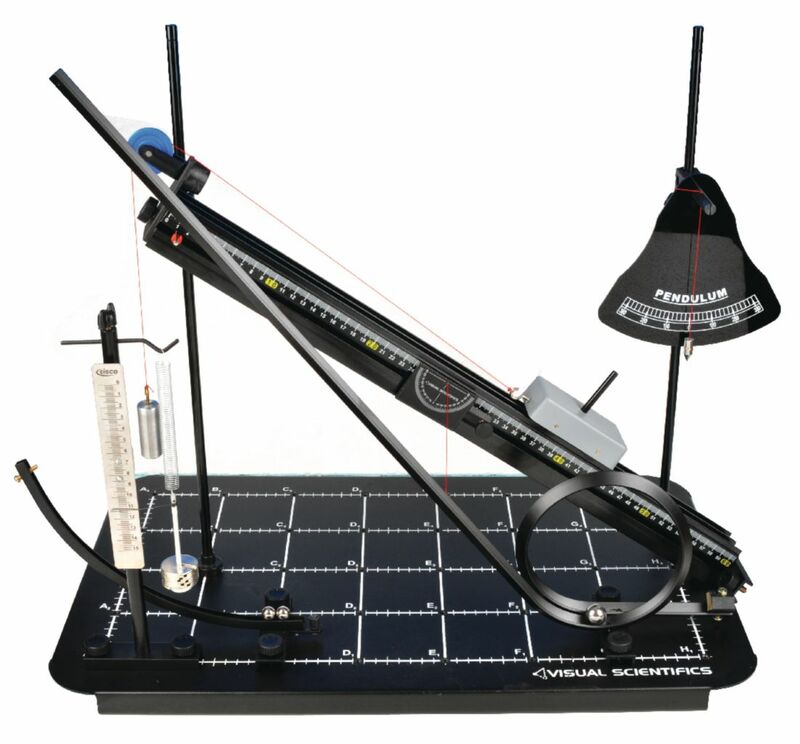 This set contains six Visual Scientifics modules that educate students about motion, acceleration, conservation of energy, momentum, periodic motion, and trajectory. The modules include the Visual Scientifics Base, Visual Scientifics Hooke’s Law, Visual Scientifics Collisions in Two Dimensions, Visual Scientifics Incline Plane and Car, Visual Scientifics Pendulum, and Visual Scientifics Loop. Certifications: Meets 60 Next Generation Science Standards concepts and 60 Common Core Standards. Ordering information: This set contains six Visual Scientifics modules featuring 15 different experiments, 125 pages of content, and experimental guides. The Visual Scientifics Base is required but not included.